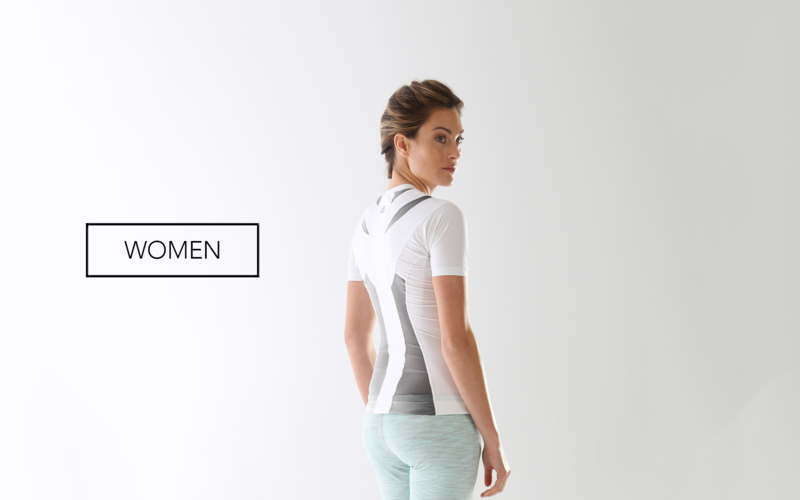 Posture Shirt 2.0 is the right choice for injury prevention, pain reduction, and faster recovery. Anatomically constructed with tension panel NeuroBands® that activate and stimulate specific muscle groups and joints to help improve your posture. Controlled resistance causes your muscles to contract to increase strength and keep you in a upright position. For those suffering from an injury or surgery, we recommend the zipper version of our Posture Shirt. The Posture Shirt from ActivePosture® was designed to help give you better posture by encouraging different muscles to activate in the back. This in turn lines up the back, shoulder, and neck joints, giving the wearer a better overall posture. If you suffer from poor posture, it's likely that you also experience pain in the back and neck area. The shirt is much more than a simple compression tool. It has NeuroBands that contain different elasticity levels, mirroring your own muscles. The result is that it aligns and strengthens your body naturally. The shirt should fit tight and you might notice that it warms a bit. This is because it’s working on your muscles so that you can have the right posture and maintain it. Available in 6 different sizes for men and women. Comes in white, black or blue (for women), just choose the one that best fits you, and get ready to have the great posture without any discomfort.